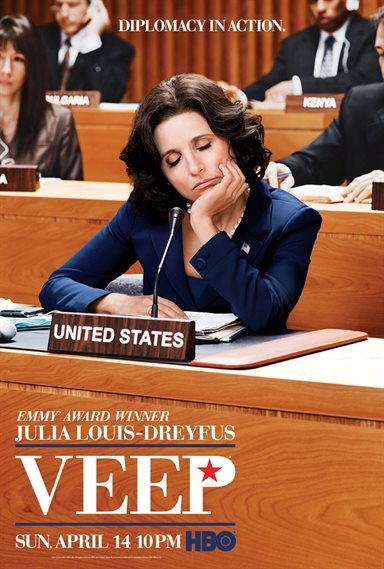 Download Veep in Digital HD from the iTunes store. Veep images are © HBO. All Rights Reserved. 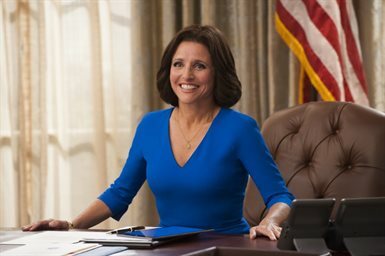 In an ever growing media world, where reality television shows and medical and legal dramas seem to dominate the networks, VEEP brings absolute comedy to what could have been another boring drama involving the White House and the politics surrounding the President of the United States. The show follows President Selena Meyers (Julia Louis-Dreyfus, Seinfeld), the first woman President of the United States, who inherited the White House while serving as Vice President, when her President stepped down. Sitting as Commander in Chief for a year, the fifth season begins after the Meyers campaigned to be the first woman elected as President and finds herself in a tie with Senator O'Brien. The season progresses as HBO brings the political arena into a real, but comical perspective, not focusing on the actual politics themselves, but the relationships and emotions of going through this difficult process of a tie-breaker. China is blamed for Tweets and hacking and secret meetings take place. Bank bail outs are discussed and the question is – do we bail out the President's boyfriend's bank or another bank? Adoptions and surrogates are the rage and even a Fitbit makes an appearance. While all this is going on, the President's daughter, Catherine, is trying to make a video for her college degree, about her mother and trying to win the election. Through the humorous portrayal of the inner workings of the White House staff and President Meyers and her personal life, the viewer can really gain insight into how hard someone works to keep their job as President of the United States. Promises are made callously, that ultimately unhinge the Presidency and play a major role in the season finale. Trying to make deals and obtain votes, President Meyers and her staff impress upon us that the world of politics is cynical and downright dirty, in many more ways than one. Part of what makes this show so great is the interaction of the actors and the script writing. While the language is not something you would think the President of the United States would use on a daily basis, it brings realism to the characters and makes the viewers realize that the President and the White House staff are simply real people. Not only do you get to see how the White House staff interacts with the President, you also get to see how the staff interacts with other staffers. The interaction between the players in politics is funny and comical and you'll find yourself agreeing with many of the tautological questions asked between the characters. The season finale is a shocker. Dirty deals are made. Unexpected people are out of a job and unexpected people, new to the season, are in. One of the final scenes leaves a lot of questions on the table, leaving you sitting on the edge of your seat wishing the ending was different and disappointed in having to wait for the next season to begin. 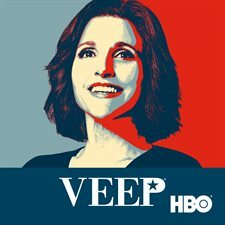 Veep images © HBO. All Rights Reserved.